Child anxiety sensitivity (AS) is measured almost exclusively using the Childhood Anxiety Sensitivity Index (CASI). Yet, in the context of significant discrepancies regarding the CASI factors and how they are scored and reported, it remains unclear whether the CASI reliably and validly assesses the purported multifactorial AS construct. This paper will: (1) provide a comprehensive summary of previous CASI factor analyses by which these factor structures were identified, (2) evaluate evidence regarding the multifactorial nature of AS in youth, and (3) discuss potential directions for continued research in this area. In a PsycInfo search, peer-reviewed studies published between 1991 and 2018 were identified for inclusion if they examined the factor structure of the CASI or reported data on the CASI subscales as administered to child participants. Findings from the 50 studies reviewed suggested that (1) the 18-item CASI does not consistently yield internally reliable assessments of specific AS facets, (2) significant discrepancies exist regarding the CASI subscales identified, the items comprising these scales, and their predictive validity in terms of anxiety, and (3) alternatives to assess the multifactorial construct of AS in youth do exist, but they have not been systematically examined in the literature. 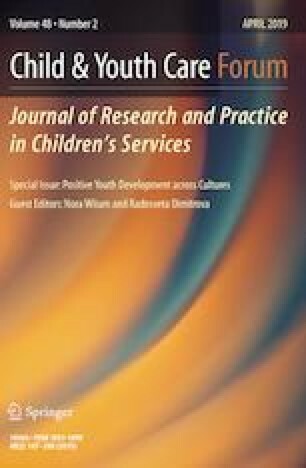 Directions for future study include further examining expanded scales for AS in youth, continued study of shorter scales assessing more consistently reliable AS content, and evaluating the utility of an expanded response scale for the CASI.